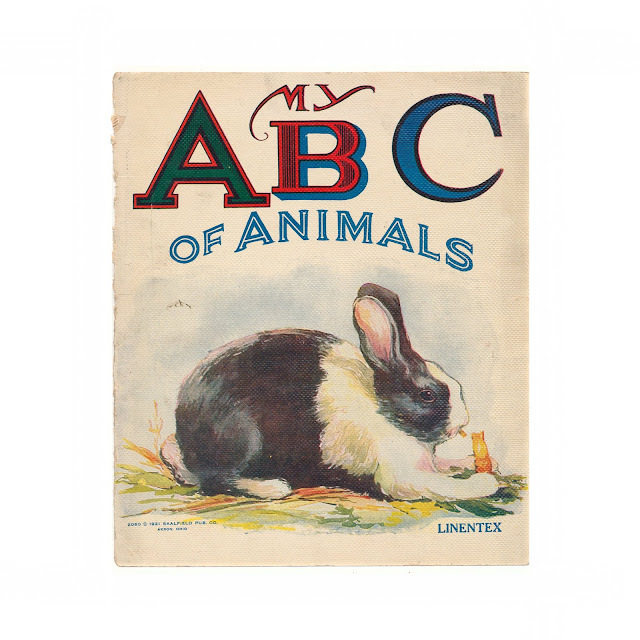 This vintage color print was recovered from a disbound edition of "My ABC of Animals." This softcover children's book was published in 1921 by Saalfield and measures 8.5 x 10 inches. The book was printed on "Linentex" paper, a thicker stock with a resilient finish, which was easier to keep clean. 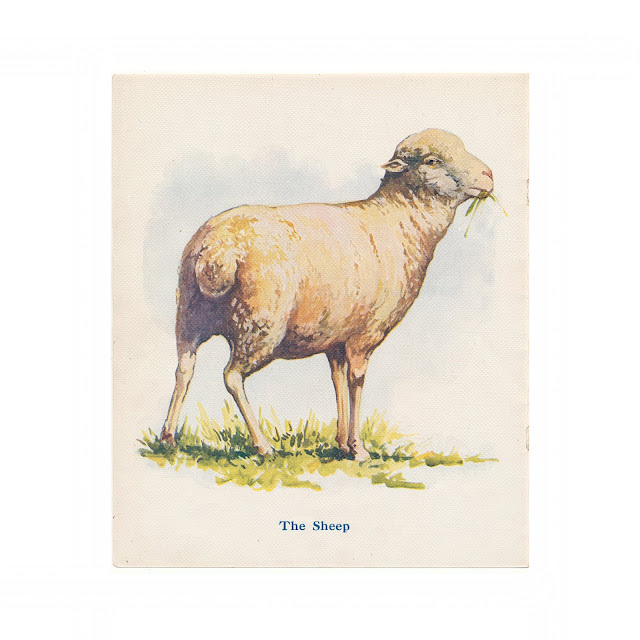 This print, titled "The Sheep" shows some soil and wear, rougher edge where it was bound into the book. Front cover from the original book shown for informational purposes and is not included with the sale.